This homemade costume for babies entered our 2016 Halloween Costume Contest. 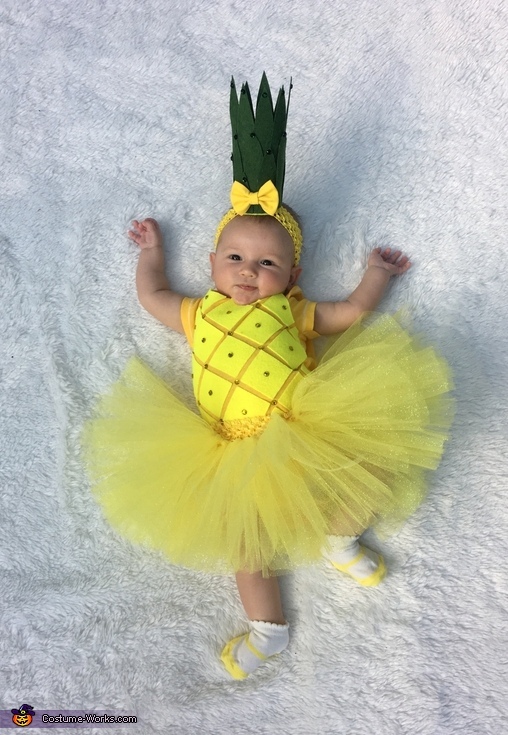 For my daughter Rowan Michelle Harmer's first Halloween I DIYed her pineapple costume. A onesie dyed yellow with felt squares and rhinestones plus a tutu made out of yellow glitter tulle and a pineapple crown made of felt, rhinestones and a yellow bow and you get the cutest pineapple you've ever seen! How did you attach the green felt to the headband?